Stainless Steel Rocker Panels will provide an added level of protection against rust, chipping and peeling as well as enhancing your vehicles appearance. Rocker Panels are applied with a 3M acrylic foam tape. They are not going to come off, no matter how many times you wash your truck. 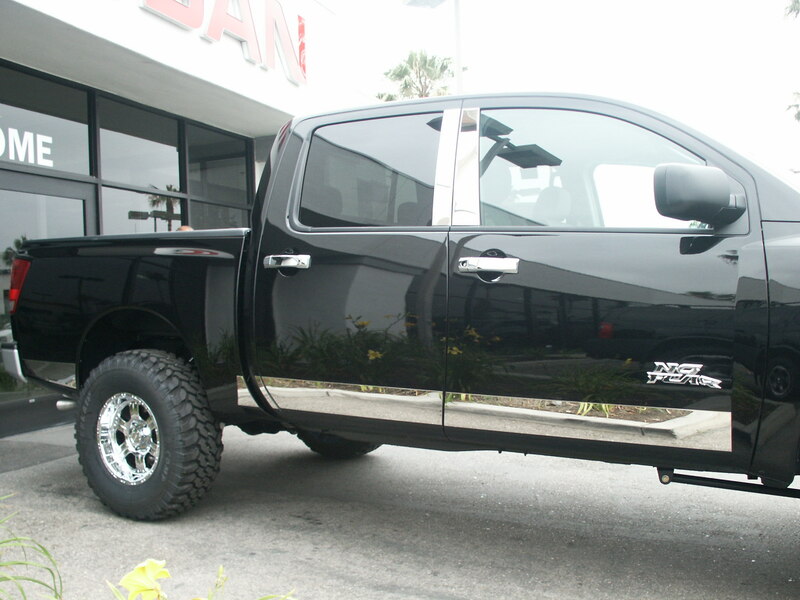 Rocker panels are the ideal way to enhance the appearance and style of your truck, as well as provide protection to your truck’s lower body. Protect your truck’s paint job from all kinds of road debris hazards such as rock dings, chips, scratches, rust and peeling. You’ll be able to drive on muddy back roads, work sites, riverbanks or beaches without worrying about damage to your truck’s exterior. Choose from leading industry brands like ICI or Stampede. Each of these brands specializes in custom fit, great finishes, and nice shiny lines to enhance your truck’s style and allow you unlimited customization. Want a textured matte or powdered finish for a blackout look? Or are you more of a classic chrome or shiny stainless steel type? Installation for many of our rocker panels is as easy as attaching the panel directly to your truck using 3M automotive adhesive. No drilling required! NW Running Boards prides itself in offering top of the line, quality products at a range of prices and styles. 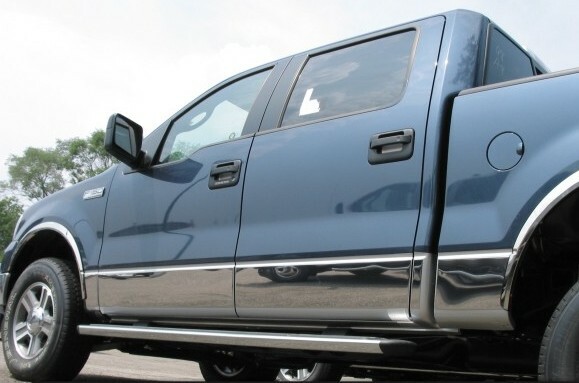 You’ll be sure to find rocker panels to fit any budget, truck, or taste. Check out our selection of protective, affordable and high-end rocker panels today! ICI Stainless Steel Rocker Panels add style to your vehicles appearance while providing added protection against damaging road debris. These panels are constructed of the highest quality materials available and are designed specifically to fit your vehicle. ICI Stainless Steel Rocker Panels are Designed for easy no drill Installation with pre-applied High Performance 3M® adhesive. Simply line the Rocker Panel up and firmly press into place. No screws are required for installation, however, they will hold in place just the same. ICI Stainless Steel Rocker Panels come with a three year warranty. Order your set of ICI Stainless Steel Rocker Panels now to add that stylish protection to your vehicle!